FULL DISCLOSURE: I'm a HUGE football fan. I grew up going to football games every weekend. Football is on in my house every weekend and into the post season. And by "on" I mean every TV is tuned to football. Yep, every TV. If you ask my family and friends, I pretty much bleed cardinal and gold. But also love cheering for my home team. But since they didn't make it to the Super Bowl this year, I'm definitely all in for the Rams. My love of football was pretty much cemented as a kid. 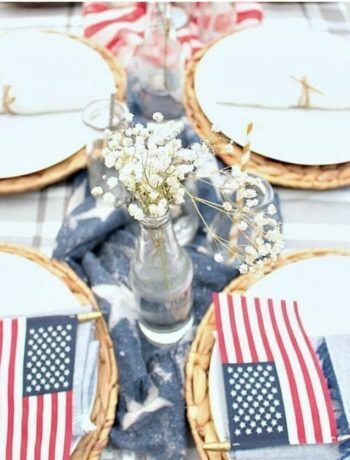 My parents had season tickets and we would always arrive a few hours early, set up our blankets, drink pink lemonade (it was the 70's after all!) and eat quiche. .......It was my dad who taught me all about the game of football. I'd sit next to him at every game. He would chat about the difference between a tight end and wide receiver, explain play calling, and never NOT tell me when the refs got the call wrong. He would explain, in great detail, how you could tell it would be a running play instead of a passing play. And he would patiently answer every question I would ask. Every. Single. One. This year, my dad was in town for the draft, and we sat over my computer, drinking wine, and picking players. I called my Dad every Tuesday to give him the recap of how my team did, and get advice on who I should draft for next week. And when I came in 2nd in my league, my Dad is the first person I called. Both my kids are huge football fans, too. So, if you haven't figured out by now, football is kind of a big deal in my house. So now you know where I stand......what about YOU, my friend? Are you excited to root on the Rams? Thrilled the Patriots made it back (what is this.....their 4 thousandth appearance?) or just plan on using the game as an excuse to snack? It really doesn't matter WHO you're rooting for (or if football isn't your thing at all) because these tasty treats are sure to score big points either way. Calling all Rams fans! 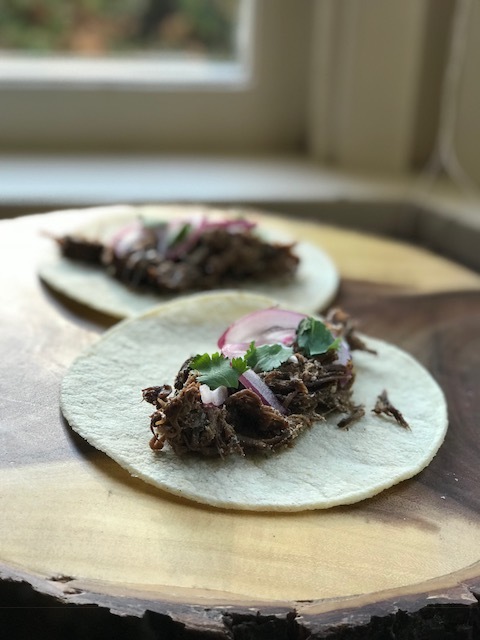 These Ancho Short Rib Tacos are calling your name! Make the meat on Saturday to save yourself time and allow the flavors build. Ok, these might straddle the line between snack and meal. But if you're having a crowd, tacos are SO easy. And, served on corn tortillas, they are small enough to sort of.....maybe...be considered snack food. 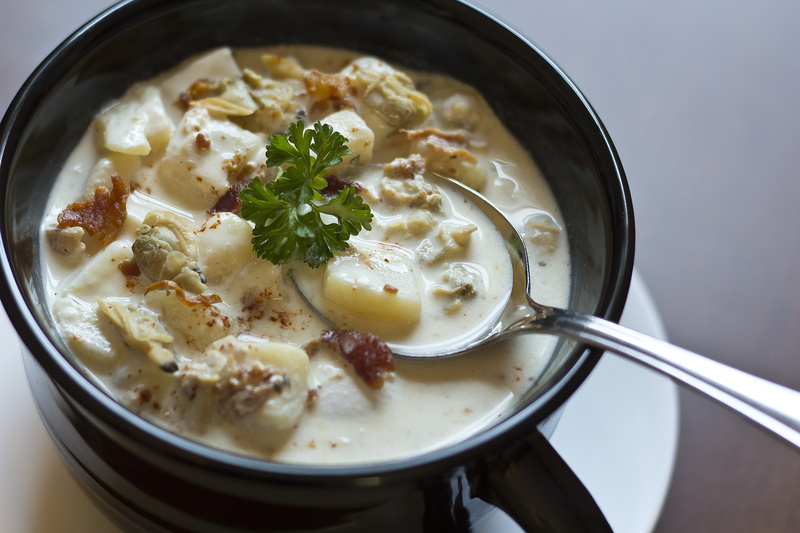 If you bleed Patriot blue, this creamy Clam Chowder will make the crowd yell "touchdown!" To transform it from main course to snack, serve in small coffee mugs. 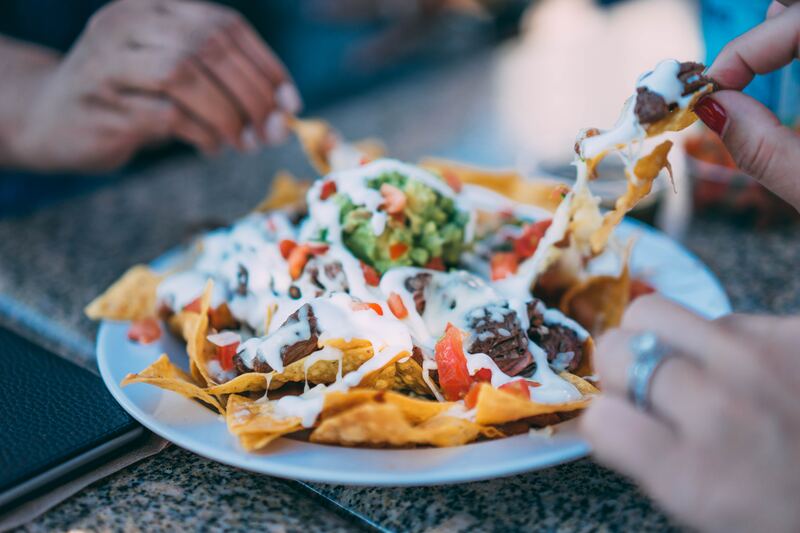 These Super Nachos are the perfect snack -- literally, super is in the name! 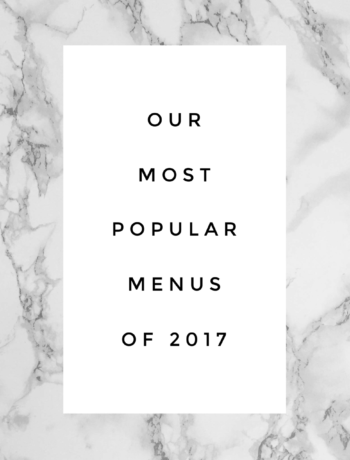 They are loaded with everything, including the kitchen sink! And what makes them even MORE perfect is you can make them with whatever you have on hand --- leftover steak, rotisserie chicken, EXTRA of your favorite cheese (I'm a big fan of Monterey Jack), pickled jalapeño......you're only limited by your imagination! 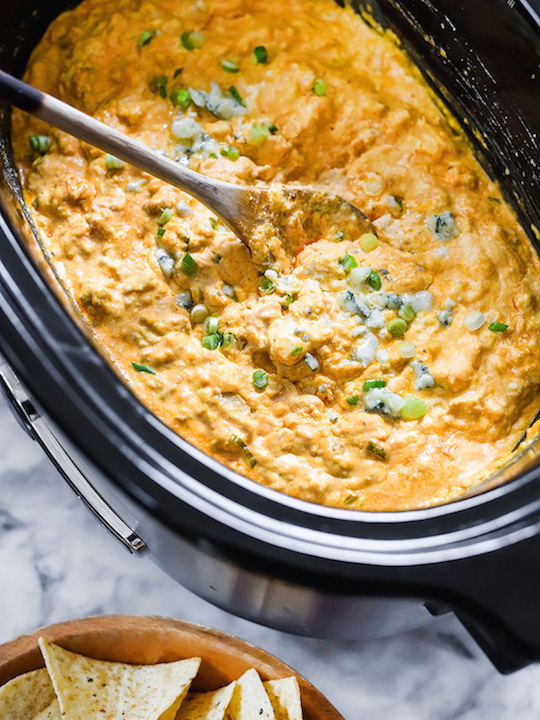 If you're looking for something easy, it really doesn't get much easier than this Slow Cooker Buffalo Chicken Dip. Everything goes in your slow cooker, including pre-cooked rotisserie chicken (I TOLD you this is easy! ), and cooks away for a couple of hours. Serve it right out of the slow cooker to keep it nice and warm! I like to fill the tray with at least 3 cheeses: one soft (like a French brie), semi soft ( like an aged Spanish Manchego) and a hard (Amsterdam gouda and aged Parmesan are my favorites). 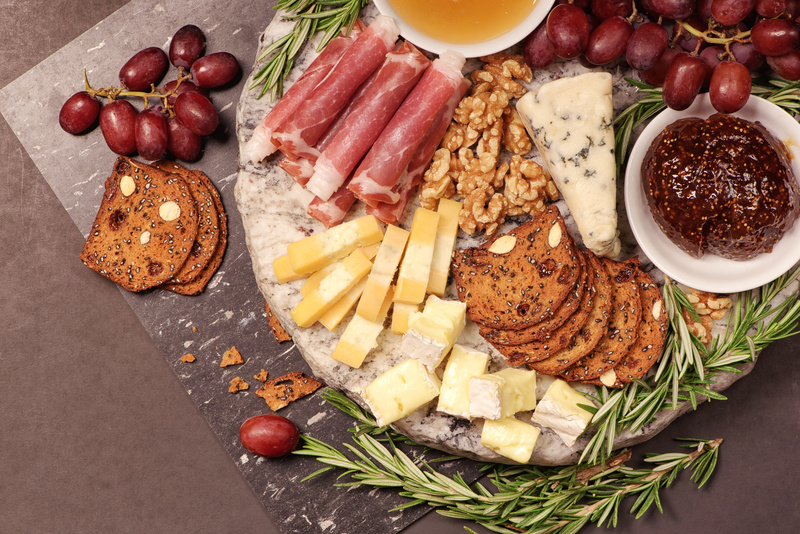 An assortment of salami and prosciutto, Castelvetrano olives, nuts (I love Sahale nuts, especially these), grapes and 2-3 types of crackers (like these or these) round out the platter. Cheese straws and pickled asparagus fancy things up a bit. Spread a little Boursin cheese (you know, that incredibly addicting French cheese) on a piece of prosciutto and wrap it around a pickled asparagus. 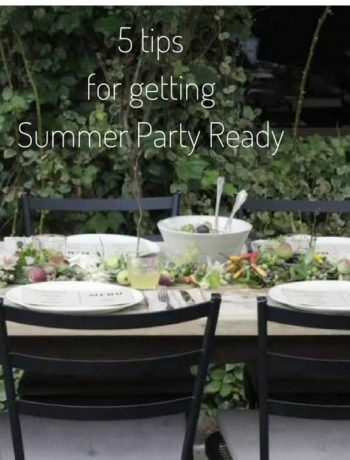 Repeat this to a few pickled asparagus and lay them on the platter. Fig jam is also my jam when I put together a cheese plate. It's sweetness pairs amazingly well with pretty much any cheese you have on the plate. I love this fig jam, but you can also substitute your favorite honey. You can also put some dips in small bowls, like this hummus dip or this sundried tomato dip. What's great about a cheese plate is you can customize it based on what you have on hand and what you like best! When you cook something from A Menu for You don't forget to tag your photos #amenuforyou -- I LOVE seeing what you guys are cooking!! Want more goodness like this delivered to your inbox? Sign up for my weekly newsletter!